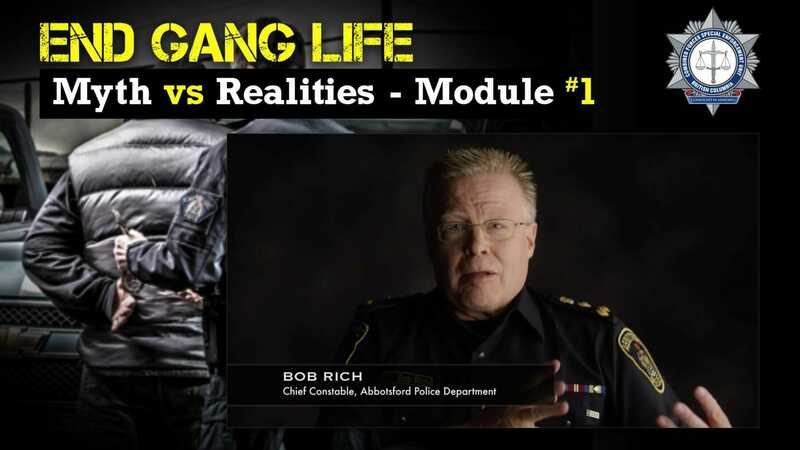 The Combined Forces Special Enforcement Unit of British Columbia (CFSEU-BC) released a series of six gang prevention and education videos today that shine a new light on gangs, gang violence, and the effects that those have on families. In development for close to a year in collaboration with Odd Squad Productions, known for emotional documentaries like Through A Blue Lens, this series of six videos will add to the growing gang prevention components within the CFSEU-BC’s End Gang Life gang prevention and education campaign. Each video runs between 7 and 10 minutes long and features interviews with parents who have lost children to gang-related murders, police officers who have spent years investigating gangs and gang-related murders, and former gang members who give rare insight into the world of gangs and gang violence. 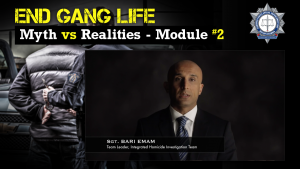 The videos provide a unique thought-provoking look into many of the main myths surrounding gangs and expose the truths and perils of gangs, all with the aim of promoting community conversations about gangs, their effects on communities, and to prevent and deter youth and young adults from entering gang life. The videos can be found by visiting www.endganglife.ca. A DVD of the videos can be requested by contacting Ms. Geeta Reddy at Geeta.Reddy@cfseu.bc.ca.